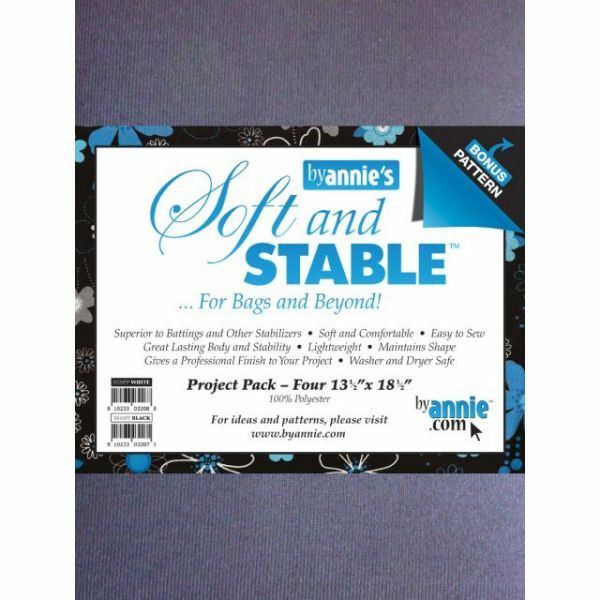 ByAnnie's Soft & Stable Project Pack - PATTERNS BY ANNIE-Soft And Stable Project Pack. 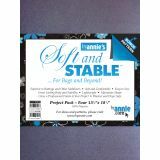 This stabilizer is soft, comfortable, easy to sew, lightweight, and gives your project a professional finish. This package contains four 13-1/2x18-1/2 inch stabilizers. Color: Black. Washer and dryer safe. 100% polyester. Made in USA.